At very nearly the last minute, she and the administration of Mayor Bill de Blasio worked out a deal for the Crown Heights building with the city’s chosen developer, BFC Partners, the night before a crucial City Council land use committee vote on the controversial redevelopment. A week later, Cumbo stood amid the full Council, ready to approve the project. But before that could happen, chanting interrupted the meeting. 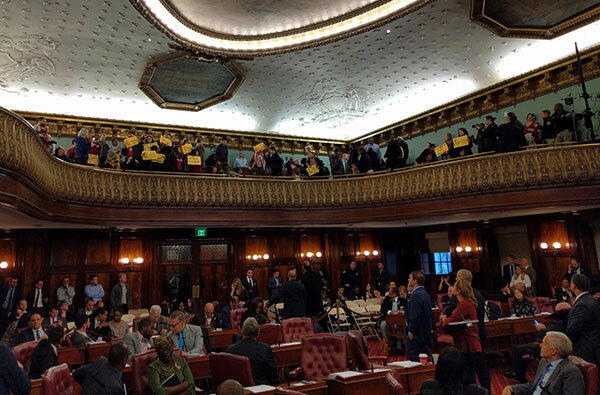 In the balcony of the Council chambers, a small crowd of activists, housing advocates, and Crown Heights residents shouted as security escorted them out. Among the protesters were the fiercest and most frequent critics of the armory project: members of New York Communities for Change (NYCC), the Crown Heights Tenant Union and their allies, who have pushed the city to scrap the plan for nearly two years, leading dozens of protests and supporting anti-armory plan challengers to Cumbo during her successful yet contentious reelection campaign this summer and fall. From the beginning, the coalition of activists saw the vacant armory and the publicly-owned land beneath it as an incredibly valuable resource that should be used to improve a rapidly gentrifying community, with deeply affordable housing to help stem the tide of displacement. By all accounts, the pressure moved the needle significantly. When it was announced in late 2015, the redevelopment included plans for 330 market-rate and affordable rentals, two dozen luxury condominiums, and a 45,000-square-foot recreation center. Following months of protests by NYCC, CHTU and others against any and all market-rate housing on the site, with particular ire directed at the condominiums, a new deal took shape. In the last-minute agreement, BFC cut out the condos as the city promised $50 million to subsidize more affordable — and more deeply affordable — rental housing on the site. In addition, the planned state-of-the-art recreation center would remain, with its own affordability requirements, supported financially by 150 market-rate apartments, officials said. To the casual observer, the armory agreement may appear to be a major feat for all sides. But as the project cleared the last hurdle in its public approval process, its detractors see it as a failure, emblematic of problems with the de Blasio administration’s approach to affordable housing citywide: doing too little for those who need it most, failing to slow gentrification, and relying too heavily on for-profit development. In particular, critics found fault with income restrictions at the project, which originally set aside a majority of affordable apartments at the site for households making above the area median income. 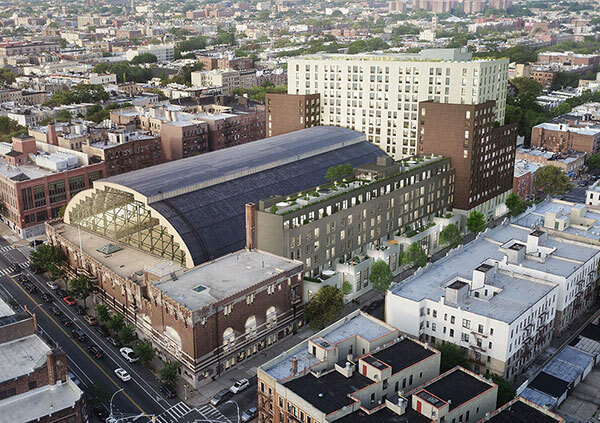 To the mayor and his team, the armory is a solid compromise and exactly what the administration is aiming for with much of its ambitious housing plan — leveraging public resources to spur the construction of mixed-income housing by private developers. “That’s always a complicated balancing act,” she said. The project passed the Council on November 30 with 43 in favor, two against, and one abstention. As she cast her vote, Cumbo said the concerns of the project’s critics “have been taken into account” while underscoring all the good the project will bring: affordable housing, recreation space, jobs. “This is progress. This is an opportunity. This is getting something done in our term,” she said. “Right now that armory is doing no good for the community,” he said at an unrelated press conference. But “getting something done” isn’t good enough for some in the neighborhood, including Crown Heights resident Esteban Giron, a local tenant organizer and member of the neighborhood community board’s land use committee, who was one of those escorted out of City Hall when the Council approved the deal. A day after the vote, Giron said he’d rather see the armory remain vacant than be rebuilt under the new terms. “What did we do, from the very beginning, except say we want 100 percent affordable housing?” he asked. For critics of the project, the sticking point on the redevelopment has always been this: the sprawling former military complex on Bedford Avenue sits on an extremely precious commodity — public land — and that limited resource, especially in gentrifying neighborhoods like Crown Heights, must be used to most effectively combat the city’s housing affordability crisis. The 1904 building was used by the state as a training facility (complete with horse stables, a drill hall and rifle range) until its decommissioning in 2011, when then-Borough President Marty Markowitz, upon the urging of Crown Heights locals, began an effort to study what could be done with the hulking, 122,000-square-foot structure and its large lot. Markowitz’s chief of staff at the time, Carlo Scissura, now the president of the New York Building Congress, said the idea “was going to be similar to the Park Slope Armory,” the large YMCA-run recreational facility on 15th Street. In 2013, at the end of the Bloomberg administration, the city’s Economic Development Corporation put out a request for proposals (RFP) for the site. 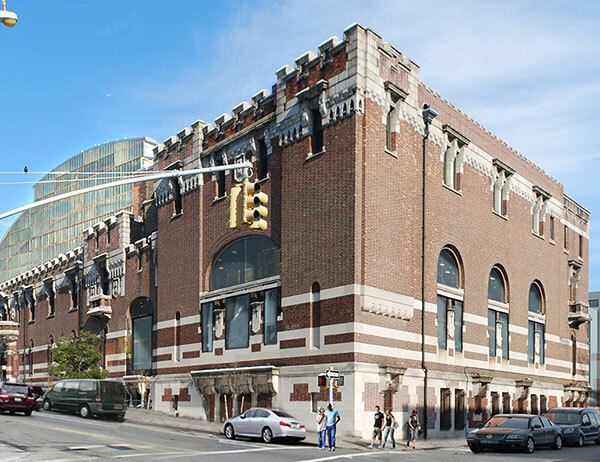 Housing officially became part of the armory plan when, in late 2015, the EDC under de Blasio chose BFC and Slate Properties to redevelop the vacant building. Within months, protests began, led by nearby tenants and residents with a big assist by NYCC, a group with a long history of activism — and ties to de Blasio. Formerly, NYCC was known as Association of Community Organizations for Reform Now, or ACORN, before a national controversy surrounding the group in 2009 prompted a rebranding. The group has backed progressive causes for decades and, in 2013, put their weight behind a longshot progressive candidate for mayor: Bill de Blasio. But that close relationship with the then-candidate has cooled through his years at City Hall, largely based on de Blasio’s approach to development and housing, and NYCC pulled no punches as it revved up to fight the armory plan. The group went after Slate Property for their dealings in the controversial 2015 sale of a Lower East Side home for seniors. They called out then-Knicks player Carmelo Anthony — whose foundation had signed on to help with the recreation center — for getting involved with a project that would “further exacerbate the gentrification of Crown Heights,” according to a published letter written to the basketball star by activist Bertha Lewis, former leader of NYCC when it was known as ACORN. Soon afterward, both Slate and Anthony dropped out of the project. In rallies, open letters and editorials, the groups fought against the armory plan with a consistent message: Scrap the deal completely, start from scratch, and build only affordable housing on the site, with no market-rate units. They called for the property to be moved to a community land trust. 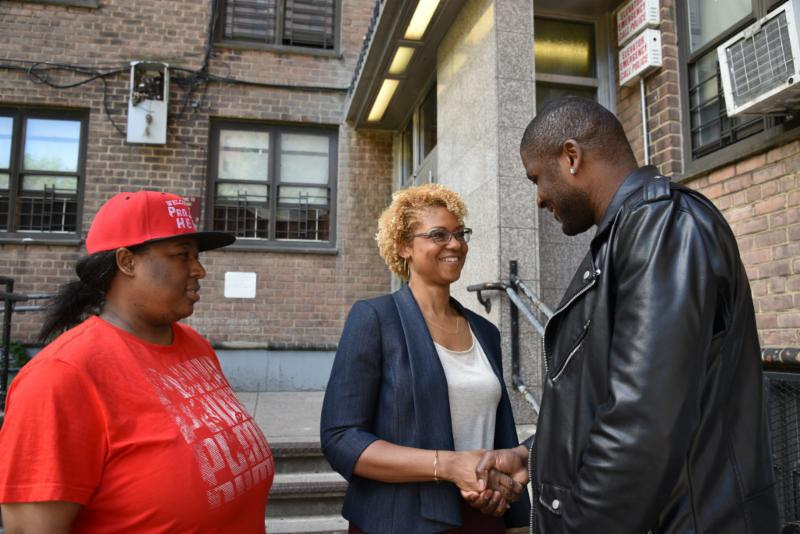 As the months dragged on, the project became a central issue in Cumbo’s re-election campaign, with two challengers — Democrat Ede Fox and Green Party candidate Jabari Brisport — promising to start from square one on the armory if elected. In May, facing Fox’s primary challenge, Cumbo backed away from the armory plan, announcing she would not support it if it included luxury condominiums. As Fox, Brisport, and other critics of the project continued to hammer her, Cumbo’s campaign touted her opposition to the plan, at times using misleading language. An independent expenditure by the hotel workers’ union paid for pro-Cumbo flyers and robo-calls indicating she would support the armory plan only if it included 100 percent affordable housing, a claim Cumbo said she never made, was aware of, or approved. “It wouldn’t even make logical sense for me to do that because I know going into [negotiations] that you’re not going to get 100 percent,” she told Gotham Gazette. “So it wouldn’t be beneficial for me to promise something that I can’t deliver.” Cumbo did not, however, disavow the independent expenditure or ask the hotel workers’ union to stop its mailers. Even with a win on that aspect, the Council member acknowledges that, as with any great compromise, no party leaves the table with everything they want, herself included. To the de Blasio administration, the plan is a “win, win, win,” according to housing Commissioner Torres-Springer, who formerly led EDC. “We’re generating the types of opportunities that really address many sides of the complex affordability question in this city — certainly affordable housing, but also access to services, recreation, community, and jobs,” she said. The city is making that happen in partnership with BFC, a for-profit developer, which will pay $2 million per year in ground rent for the armory site, both in cash and in at least $1.25 million in “community benefits,” calculated as discounts on classes, memberships, space for nonprofits, and rentals to community groups within the newly built armory. For the city’s part, the $50 million in public funds will pay for 250 units of subsidized housing, set aside for households making between about $25,000 and $51,000 per year for a family of three, HPD said. In the deal, BFC will use income from the 150 market-rate rentals on the site to operate and maintain the recreation center. The company is projected to make an annual profit. A spokesperson did not return multiple requests for that projected amount. The philosophy — of partnering with and relying on private, for-profit developers to build affordable housing — is foundational to the de Blasio administration’s overall housing goal of building and preserving 300,000 affordable units by 2026. In an interview with The New York Times in October, Alicia Glen, de Blasio’s powerful deputy mayor for housing and economic development, said “there’s no such thing” as housing built by the city alone. “It’s all about, to what extent can you use the resources of the private sector, and the resources the public sector has, to put together the best deals you can possibly do,” she said. To advocates who fought the armory plan, some of whom fight de Blasio administration plans around the city, that idea is anathema to the goal of solving the housing crisis, particularly for low-income and homeless New Yorkers. To NYCC Executive Director Jonathan Westin, it’s a “failure of imagination” by the administration. 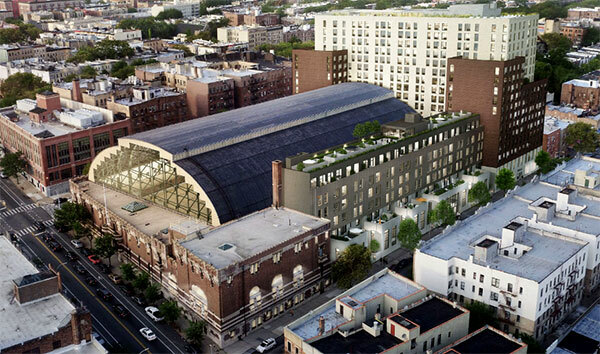 Particularly at the armory site, where 150 market-rate apartments will be built on the publicly-held property, the administration’s plan is “completely egregious,” according to Katie Goldstein, executive director of the statewide housing group Tenants and Neighbors, which has played an active role with NYCC to fight the armory plan. “When the city owns the land, to give that away to a for-profit developer? It’s such punch in the face to the community who was organizing around this,” she said. Lewis of the Black Institute said “not one iota” of the deal is satisfactory, and trying to deal with the de Blasio administration was worse than “all of the other fights that we’ve had,” including in the Bloomberg and Giuliani administrations. The mayor and his team don’t necessarily disagree much with their critics, at least in terms of describing the city’s approach to housing and development. To de Blasio, Glen, Torres-Springer, and others, the number one thing the city needs is more housing, at various levels of affordability. The mayor stressed that goal when speaking about the armory project in July. “We need both – we need market and we need affordable housing. That’s our mission. Every time we do it, we’re looking to maximize the amount of affordability and to make the affordable housing as consistent with the community as possible,” he said, speaking to a caller on WNYC radio's The Brian Lehrer Show. And de Blasio regularly argues that it is essential to create more affordable housing for middle-income families, while, after pushback, he has also repeatedly adjusted his larger housing plan and more localized projects, like the armory redevelopment, to create deeper affordability. Pending a final approval from Brooklyn’s Borough Board — a last step in rezoning that will almost certainly pass, given the City Council’s overwhelming support — the armory deal is headed for a closing, a spokesperson for HPD said, and the city expects construction to begin in 2018. At the same time, housing advocates are still planning to fight the project any way they can. The day before the full City Council vote on the redevelopment, the Legal Aid Society filed a lawsuit challenging the city’s measurement of the project’s potential effect on displacement of rent-stabilized tenants. In arguing that the city is not taking into account displacement outside a 400-foot area surrounding the site, the plaintiffs hope to convince a judge to compel the city to adjust the project or, if nothing else, set a new standard for similar projects in the future. Last week, a judge denied the group’s request for a temporary restraining order on the armory project. The next hearing date in the suit is set for February 8, according to an EDC representative. For Giron, who lives two blocks from the armory, finding any way to stop the project — even “the hard way,” with a lawsuit, he said — is the only option. In the space of three or four years, he estimates about “half the people have been emptied out” of rent-regulated buildings between his home on Franklin Avenue and the armory on Bedford Avenue, he said, victims of an already super-heated housing market in Crown Heights. “I walk over there and I feel that void,” he said. For him, the armory was an opportunity to reverse, or at least slow, the displacement brought by gentrification, not accelerate it; the fact that any market-rate apartments will be built there, and without union labor, are unacceptable to him. So, he and the rest of the coalition will continue to fight, into the next four years — or longer, if necessary. “I can see a path…where there’s not even a shovel put in the ground before Laurie’s out of office,” he said, referring to Council Member Cumbo, whose second and last term ends in 2021. That year, Fox finished third in a five-way primary, 1,825 votes behind Cumbo. This year, she decided to take Cumbo on again, motivated by community concerns around affordability and gentrification, and encouraged by the head-to-head nature of the primary. Cumbo, however, now had advantages of incumbency: name recognition, more institutional support, easier access to donors. Fox had worked in the City Council as an aide and was particularly moved by one major land use project in the district: the potential redevelopment of the vacant Bedford Union Armory, which sits on a large piece of public land in Crown Heights, and is the center of controversy as the administration of Mayor Bill de Blasio seeks to move ahead with a proposal to turn it into a mixed-use facility that includes condominiums, market-rate rental apartments, rent-capped apartments at different levels of affordability, and recreational space. Fox believes the proposal would usher in more displacement to a community already feeling squeezed, and wants to see the land put into a public trust, not turned over to a private developer who won a city request for proposals. While the issue, and Fox’s attacks against Cumbo about her stance on the project, which Cumbo eventually came out against, has gotten most of the attention, the race was not only about one topic. The district is diverse, including Clinton Hill and Fort Greene, where Fox started her day, feeling optimistic. Fox was confident that she would win the day, despite the fact that incumbents are almost impossible to unseat in New York City Council races. Media reports regularly listed the race as a close one, and one of the few where an incumbent was vulnerable. 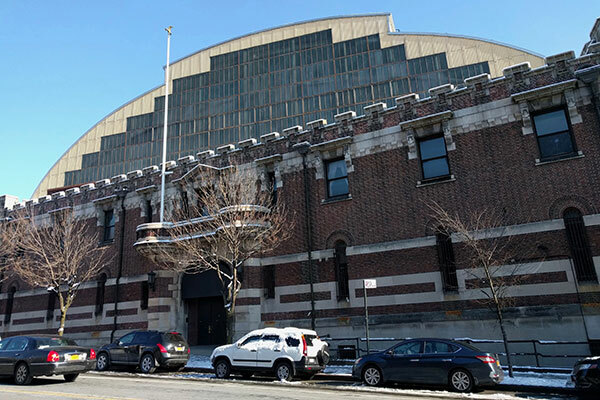 There has been a very organized and vocal community advocacy effort to defeat the Bedford Armory proposal, with much antipathy aimed at Cumbo and de Blasio. Although the armory issue has dominated headlines, the issue is not as salient in the more gentrified, more white parts of the district, Fort Greene and Clinton Hill. In Fort Greene, numerous voters approached Fox and inquired about laws surrounding bicycling. “A lot of people prioritize biking here,” she said. Fox, who used to live in Amsterdam, the biking capital of the world, was sympathetic to the plight of cyclists, vowing to ensure that streets remain safe for them. Fox said that Brooklyn could learn a few things from Amsterdam. Many voters in Fort Greene were completely unfamiliar with the armory issue; one father of two on his way to vote exclaimed “holy smokes” when Fox described the situation to him. Fox said that partnerships with big real estate developers to create affordable housing are not working, and that a change in direction was warranted. According to Fox, the media had focused in on the armory, but the district prioritized a range of issues, including criminal justice reform and transportation. As the candidate moved further east into the district, into Clinton Hill, Prospect Heights, and Crown Heights, the issue of affordability, and the armory in particular, became evidently on voters’ minds. Those who spoke with Fox and with Gotham Gazette proclaimed the armory as the most prominent issue informing their vote. Kris, from Clinton Hill, accused Cumbo of being “in the back pocket of developers,” a common accusation by her critics. Kris stated that, in the district, she would vote for anyone who went against real estate developers. She also said she was voting for de Blasio in the mayoral primary, though, since there were no other good choices. De Blasio has regularly been criticized from the left for being too close to big real estate and given that his housing policies, while demanding new extractions from developers, rely on the private market to help create affordable housing by building a lot of new market-rate housing as well. “This partnership with real estate to create affordable housing is not working,” Fox said. The primary between Fox and Cumbo was personal and nasty. At a candidate forum in July, Fox accused Cumbo of being in the pocket of big developers, which led Cumbo to accuse Fox of running a negative, insult-based campaign. 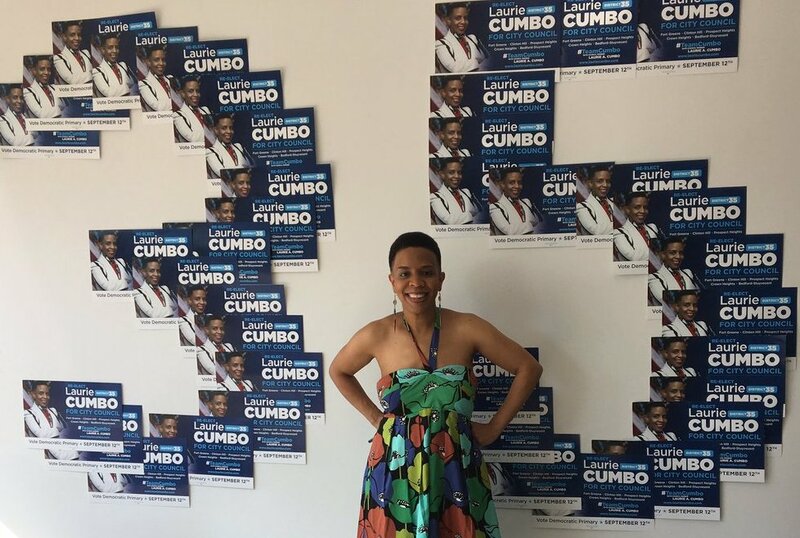 There was history to the attacks on Cumbo as tied to big real estate, given that in 2013, Cumbo was the beneficiary of a large independent expenditure by the Real Estate Board of New York (REBNY), seeking to boost her candidacy in the hopes of a more friendly face in the Council. In 2013, REBNY’s PAC, Jobs for New York, spent $229,616 in independent expenditures on behalf of Cumbo, and $27,098 in expenditures against Fox and Alabi. This year, Jobs for New York did not make any independent expenditures. The Hotel Trades Council’s PAC, Hotel Workers for Stronger Communities, spent $113,588 on behalf of Cumbo in independent expenditures, as of the September 1 filing with the city’s Campaign Finance Board. Cumbo notably did not take a position on the Bedford Union Armory until May, which many activists and neighborhood residents took as tacit approval of the proposal. Facing mounting pressure, she came out against it, and regularly explained that she had listened to the community, which wants no part of the armory sold off, which condominiums would do, and wants more affordability in the rental housing. She said she had been supportive of a general redevelopment, but had to study the specifics proposed, and that when she did, she heard her constituents and said it would need to be renegotiated. The fate of the project is now unclear, as there remains time to change some of the specifics, though not in grand fashion, or to kill the proposal altogether. Many, including Fox, expressed skepticism that Cumbo would retain her opposition to the proposal if she were to win the primary election. Fox and Green Party candidate Jabari Brisport saw an opening to potentially defeat a weak incumbent. Fox told Gotham Gazette that the community does not have a strong advocate in the City Council with regards to the armory, and that she was someone who would be “firm” and would “stand with the community.” Both candidates took the position of developing the armory into 100% affordable housing, rather than the de Blasio-approved plan of 50% of rental units and 20% of condo units being designated affordable at the site. Endorsements for the primary were split between Cumbo and Fox. Cumbo received more union support and support from elected officials and news publications, while Fox received ample support from advocacy organizations and political clubs. Among Fox’s endorsements were the Transport Workers Union, the United Automobile Workers, Citizens Union, Tenants PAC, Streets PAC, and New Kings Democrats. Despite the flaring tensions, a number of residents walked into their polling stations without having made up their mind, especially in Fort Greene, where the armory issue isn’t as dominant. Becca Delmonte, of Fort Greene, told Gotham Gazette as she walked into her polling station at P.S. 20 that she was undecided and hadn’t been closely following the race. “[They] both seem like great candidates,” she said. “Both support issues I do,” she added, highlighting women’s issues in particular. Cumbo is co-chair of the Council’s Women’s Caucus and chair of the Women’s Issues Committee. The incumbent also recently gave birth to her first child, a son, just a few weeks before the primary. 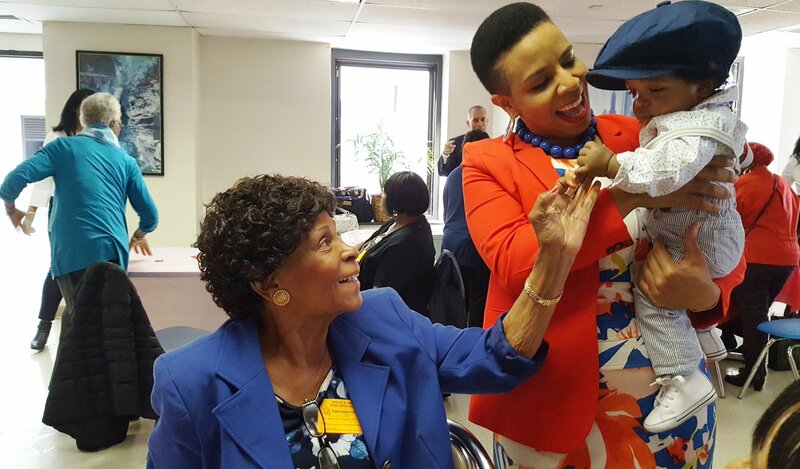 It was not long before she was back on the campaign trail, necessitated by the tight race, or before she and her son appeared on campaign mailers and handouts, explaining to voters that key issues were now even more important to Cumbo because she had become a parent. Throughout the day, Cumbo and Fox worked to sway those voters throughout the district. At times, Cumbo was joined by several or her many allies among her City Council colleagues. Late in the day, Fox told Gotham Gazette that Cumbo’s campaign had sunk to low blows to win votes. According to Fox, Cumbo’s campaign was chasing down voters and heckling Fox and her volunteers, which she called an “indication of desperation.” Fox also stated that Cumbo’s chief of staff, Monica Abend, was yelling incessantly, apparently not learning a lesson from a recent New York Post article that alleged Abend had said voters should choose Cumbo because Fox doesn’t have a good relationship with de Blasio. Indeed, de Blasio has been supportive of Cumbo, though he did not make a formal endorsement, in part because it may not help Cumbo given the armory controversy. Reports indicated that de Blasio’s allies and supporters were quietly helping Cumbo, which none of the parties denied or confirmed when Gotham Gazette asked earlier this campaign season. When Gotham Gazette asked Fox on primary day whether she had voted for de Blasio in the mayoral primary, she said it was a private matter. Council Member Jumaane Williams, not facing a heated primary, stopped by to assist Cumbo, leafleting the neighborhood and parking a bus with his own campaign literature covering the windows in front of the school. When the polls finally closed, Fox returned to her campaign office in Crown Heights to watch returns. She said she was feeling good about the campaign, that most of the people she spoke to were supportive of her campaign, and that she felt confident of a win. “Every place I was, there was a high level of support,” she said. It didn’t work out that way, however; Cumbo won 58% of the vote to Fox’s 42%. Cumbo will now face Brisport and Republican Christine Parker in the general, but is expected to win handily given the Democratic Party’s dominance in the district. For Fox, the second attempt to win the seat did not turn out as planned. Cumbo is likely to win a second term, after which she would be term-limited from running again. Most would agree that gender balance in the City Council improves the legislative, oversight, and constituent services provided to the public. 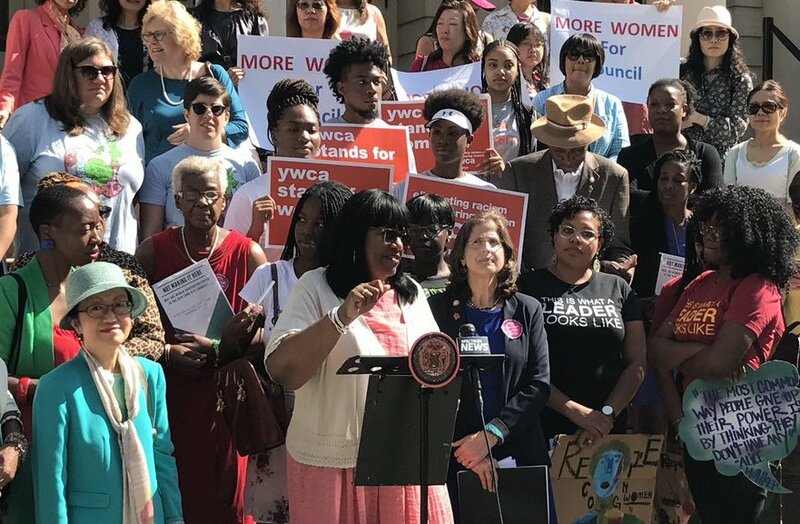 The dynamics of this year’s elections are not promising for improving the Council gender balance: five of the Council’s 13 women are not running for reelection, four of them due to term limits. Notably, all five are women of color: Rosie Mendez, Melissa Mark-Viverito, Annabel Palma, and Darlene Mealy are all term-limited and Julissa Ferreras-Copeland has decided not to seek reelection. Ferreras-Copeland is certain to be replaced by a man, as the race to replace her is between two men; while the other four could be as well, though there are women running competitively for each seat. There are five other “open” seats this cycle where the incumbent male Council member is not running for reelection, in three cases -- Dan Garodnick, James Vacca and Vincent Gentile -- due to term limits. While Gentile is almost certain to be replaced by a man, for Garodnick’s seat and Vacca’s seat there are competitive races that include female candidates with a solid shot at victory. The fourth case is David Greenfield, who will be replaced by one of the two men seeking his seat. And the fifth case is Ruben Wills, removed from office after a recent corruption conviction, who is likely to be replaced by a woman, Adrienne Adams, the favorite in the race. Additionally, there are a handful of incumbent female Council members being challenged by men in their reelection bids and two incumbent male Council members facing significant challenges by female candidates. All told, the number of women in the Council could realistically dip as low as six. It could realistically increase to as many as 16. Both extremes are unlikely, but plausible. 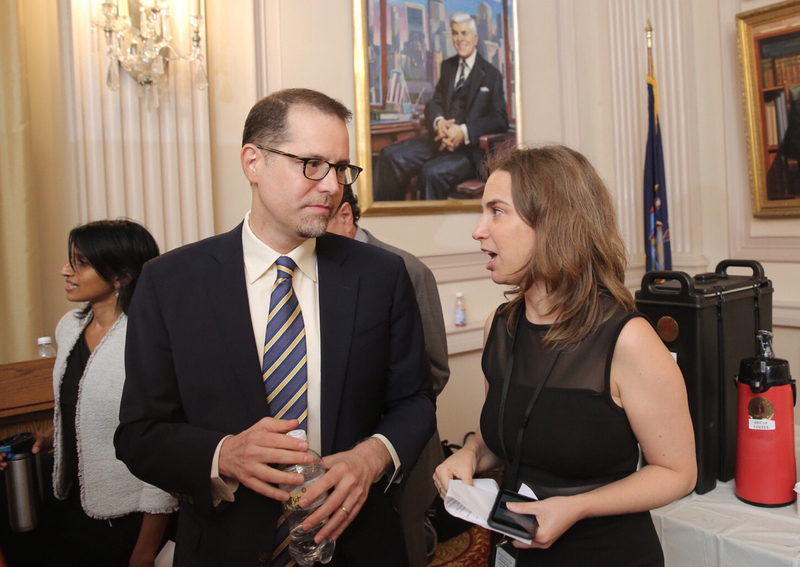 The current City Council Speaker, the aforementioned Melissa Mark-Viverito, previously helped launch a nonprofit, 21 in 21, which seeks the election of 21 women to the City Council through the 2021 city election cycle. 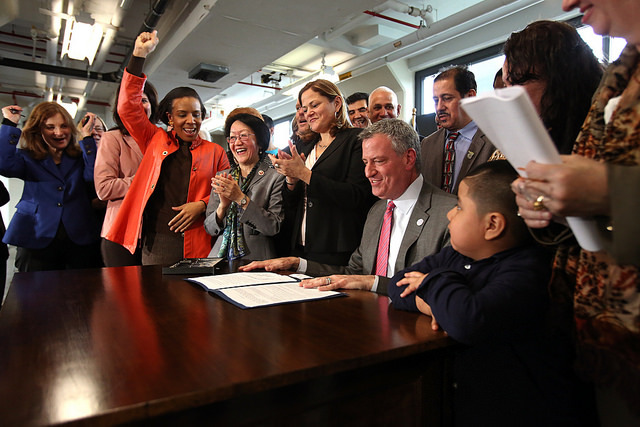 Due to the tinkering done to term limits by former Mayor Michael Bloomberg and the City Council, there will be more than 30 “open” seats in the 2021 cycle, making for a lot of opportunity to address the Council gender balance. But there are also opportunities this year, and little seems to be in motion in terms of major collective efforts by the Democratic establishment to see more women elected through the 2017 voting cycle (48 of the 51 Council members elected in 2013 are Democrats). Mark-Viverito is doing a great deal to see her preferred successor, Diana Ayala, defeat Assemblymember Robert Rodriguez in one of the races to replace a female Council member that could go either way. Given his status as an elected official, Rodriguez is at least a slight favorite in this race to represent East Harlem and parts of the South Bronx. For Mendez’s seat, which represents parts of the Lower East Side, her preferred successor is Carlina Rivera, who has received a good deal of establishment support and is considered the favorite, though she has tough competition from Mary Silver and Ronnie Cho. Alicka Ampry-Samuel has a lot of establishment support to keep Mealy’s central Brooklyn seat represented by a woman. But, she is in a tough race with several male candidates, most notably Henry Butler and Cory Provost. For Garodnick’s East Side seat, a very crowded primary includes several strong female candidates. The favorite in the race, however, is Keith Powers. Still, Marti Speranza could quite plausibly prevail, which would flip this seat from male to female. Bessie Schachter, Vanessa Aronson, Rachel Honig, and Maria Castro are also running, with varying less likely paths to victory. Garodnick has not endorsed in the race. Of the unions, elected officials, political clubs, newspaper editorial boards, and others that have, Powers and Speranza have each received a lot of support. For Vacca’s seat in the Bronx, he is backing Marjorie Velazquez, but she is facing a significantly uphill race against sitting Assemblymember Mark Gjonaj. There’s been no groundswell behind Velazquez. There’s a similar situation for Palma’s Bronx seat: Amanda Farias is a strong candidate, but she is likely to lose to State Senator Ruben Diaz Sr. and little seems to be happening to rally behind her candidacy. 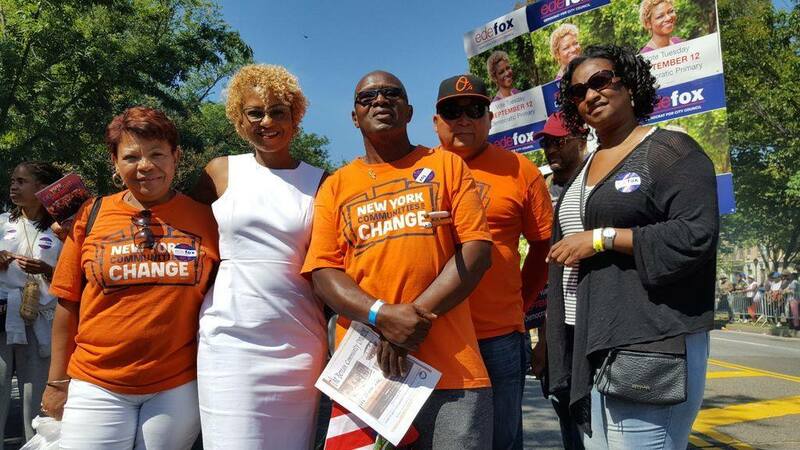 The Queens establishment and other members of the Democratic political elite are behind Adrienne Adams for Ruben Wills’ empty seat. But, Rich David is also running and could pull off an upset. As previously stated, Ferreras-Copeland will be replaced by a man, either Assemblymember Francisco Moya or former State Senator Hiram Monserrate, who has been convicted for both assaulting his girlfriend and illegal use of city money. Greenfield will be replaced by either his preferred successor, Kalman Yeger, or by Yoni Hikind, both men. And the crowded competition for Gentile’s seat is almost all men, including the most likely winners, led by Justin Brannan (this Southern Brooklyn race is actually one where a Republican could win the seat, though Brannan, a Democrat, is generally seen as having the upper hand, both in a tough primary and the eventual competitive general). There are also competitive incumbent primaries where the Council gender balance is at play. As mentioned, Rosenthal is facing a tough primary, from Mel Wymore, on the Upper West Side, though Rosenthal is likely to prevail. Wymore is seeking to become the first transgender member of the City Council, and has not lived what we may think of as a typical male life. 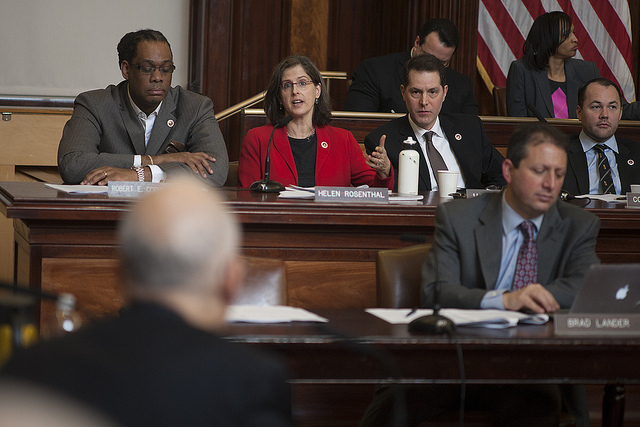 Council Members Margaret Chin in downtown Manhattan and Elizabeth Crowley in Queens are also facing competitive challenges from male candidates, though both are favored to be reelected. The female incumbents either certain or nearly sure to win reelection are Vanessa Gibson, Inez Barron, and Karen Koslowitz. As mentioned, Laurie Cumbo could lose to another woman, Ede Fox, though Cumbo has significant advantages of incumbency. And, Council Member Debi Rose, of Staten Island, is facing a tough challenge from another woman, Kamillah Hanks. In the other direction, Council Member Peter Koo is facing a tough challenge from Alison Tan, and Council Member Mathieu Eugene is facing formidable opposition from Pia Raymond, a woman, as well as from Brian Cunningham. We’ll know a lot more on Tuesday night when the primary results come in.